Huawei Technologies unveiled a $2,600 folding smartphone on Sunday which it said was primed for next generation 5G mobile connections, even as the United States campaigns to bar the Chinese company from such networks over security concerns. Huawei, the world's second-largest smartphone vendor after Samsung, said it had taken the lead on developing phones for 5G - which promise super fast internet speeds for consumers and businesses - because it was also involved in developing the networks. "This phone is not only for today for 5G but also for future 5G. On all the benchmarks you can see the performance, the speed is the fastest for 5G in the world," said Richard Yu, head of Huawei's consumer business group. Speaking ahead of the mobile industry's biggest global event, which kicks of on Monday in Barcelona, Yu said the Huawei Mate X will have two back-to-back screens which unfold to become an eight-inch tablet display. 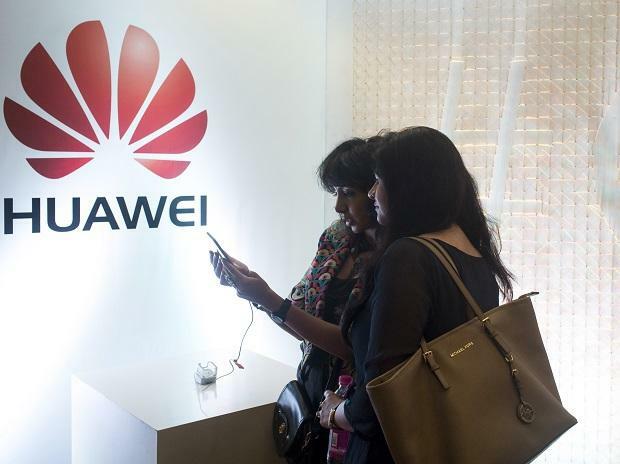 Huawei, which is also the world's biggest producer of telecoms equipment, is under intense scrutiny in the West over U.S.-led allegations of enabling Chinese state espionage, accusations which the company denies. Huawei's chairman said on Sunday recent comments by U.S. President Donald Trump that the U.S. needed to get ahead in mobile communications through competition rather than seeking to block technology was "clear and correct".